Recent times have seen Brisbane residents searching for residential properties in a highly sought-after location within the city. This has prompted a significant period of growth for 2014 after an apparent apartment ‘boom’ saw 12 new projects released in the December 2014 quarter alone. “The scale of these buildings and the affordable prices are two key elements driving sales momentum, and looking forward, Walker highlights the key areas of growth while explaining how Brisbane can expect bigger and better inner-city projects in the future,” Place Advisory Director Lachlan Walker said. “One key trend is that the new project activity is increasingly focused around the Newstead and Teneriffe precincts, which has heavily influenced these results,” Mr Walker said. This comes on the back of the most notable and large scale developments located in South Brisbane with 176 transactions, and Mode in Newstead with (110 transactions). The best performing project was the Skytower based within Brisbane’s inner-city. Housing a massive 90 storeys and still under development, it is expected to be Brisbane’s tallest building upon completion. The Skytower recorded 415 apartment transactions within the December 2014 quarter. “With approximately $2.4 billion worth of new and off-the-plan residential sales recorded during the year 2014, it shows the Brisbane residential market remains in massive demand consistently world-wide,” Bruce Goddard, Director of Place Projects said. According to Mr Goddard, the Brisbane residential market is ‘hot in demand’ with the city ‘set to enter a new phase of development’. 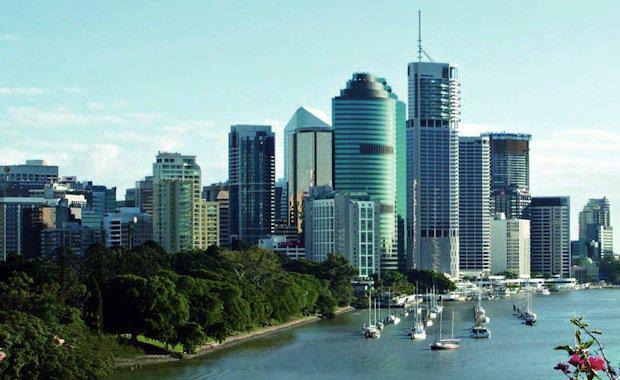 “Due to the diverse nature of the market, it’s anticipated that the more high-quality the project, the better the sales and investment results – Brisbane is certainly entering a new phase of development,” Mr Goddard said. There have been a number of higher-density large-scale buildings released within the ‘boom’ period, which experts believe has been a crucial factor in ensuring the peak surpasses the results of the already successful June 2002 quarter.